From Charmouth take the A35 towards Axminster, after approximately two miles, ignore a turning on the right to the hamlet of Monkton Wyld, but take the next turning right, signposted Marshwood. Monkton Wyld Holiday Park is 300m on your left. From the M5 – Exit Junction 25 (Taunton) and follow A358 to Ilminster, then Chard, continue on this road to Axminster. From Axminster take the A35 east towards Charmouth. After approximately two miles, pass the Hunters Lodge Pub on you right, continue until the road begins to gently drop down hill and the watch for the Dorset county boundary sign, after about 200m turn left, signposted with a brown tourism leisure sign. Monkton Wyld Holiday Park is 300m on your left. 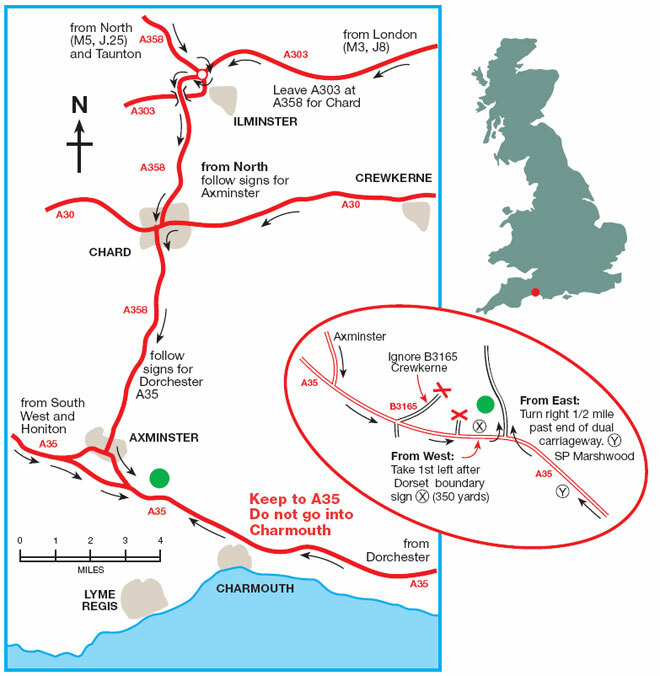 From the A303 – It is advisable for caravans to exit at Ilminster and then take the A358 to Chard/Axminster and follow directions as above. 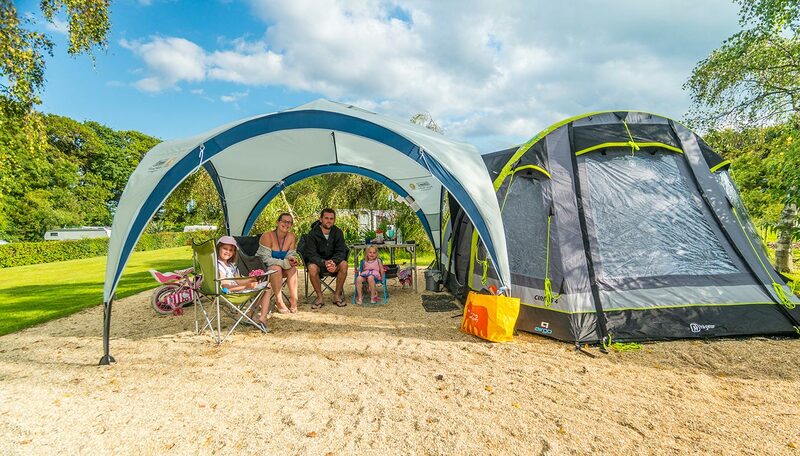 Caution – Access to Monkton Wyld Camping and Holiday Park is excellent. However, the holiday park is about one mile west of Monkton Wyld hamlet, not in Monkton Wyld. The road to Monkton Wyld hamlet is very steep, narrow and entirely unsuitable for towing vehicles. Please therefore, ignore any signposts whatsoever to to the village of Monkton Wyld.